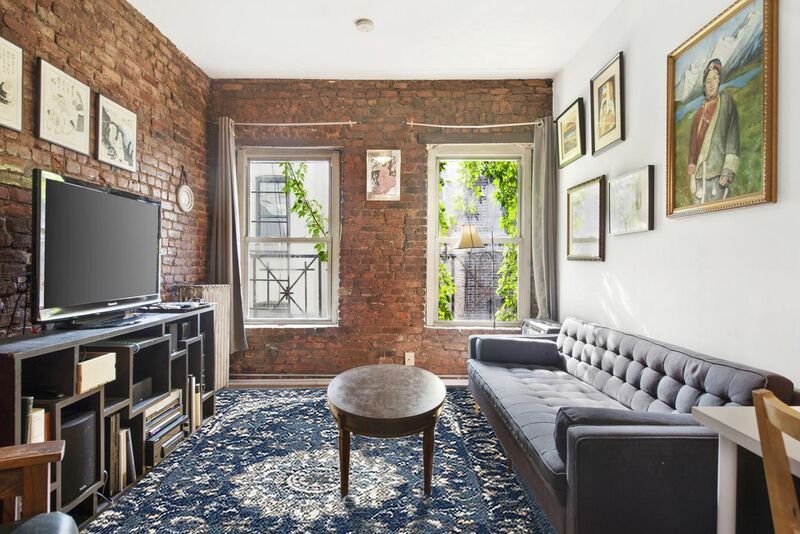 A prime Lower East Side location for under $1 million, a top-floor duplex layout with lots of windows, and a super-low maintenance fee of $498/month–no, it’s not too good to be true. 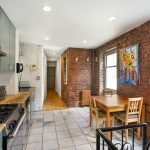 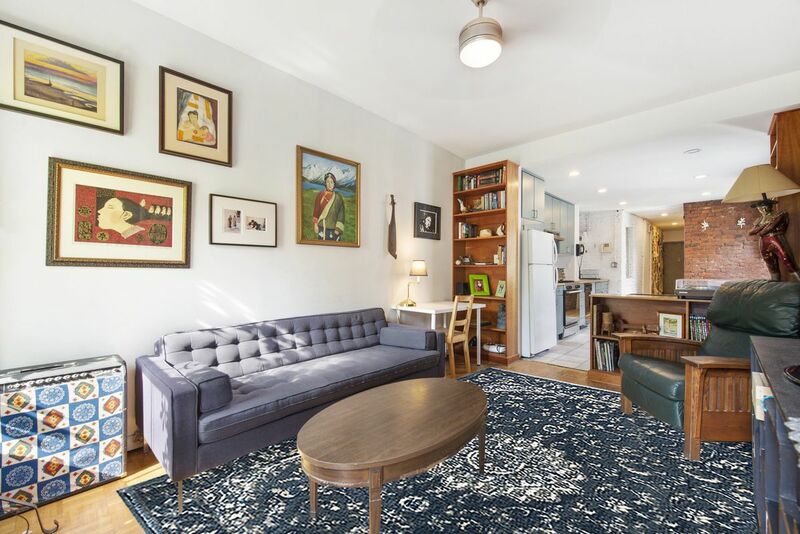 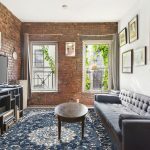 This charming unit at 208 Forsyth Street is an HDFC co-op, meaning that prospective buyers can’t make more than a certain amount in order to qualify. 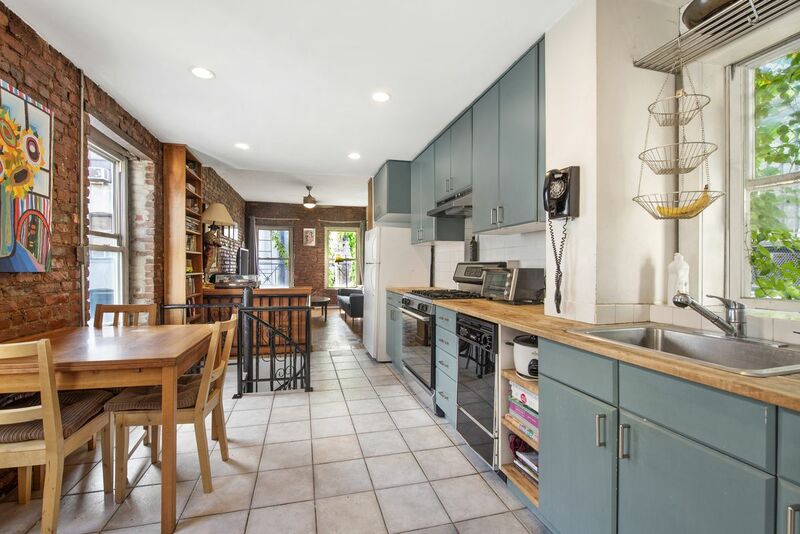 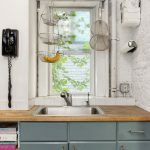 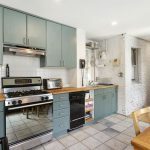 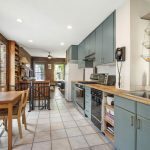 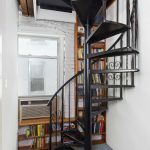 And with loads of exposed brick and wood ceiling beams, an adorable spiral staircase, and a country-chic kitchen, this $850,000 is even more of a deal. 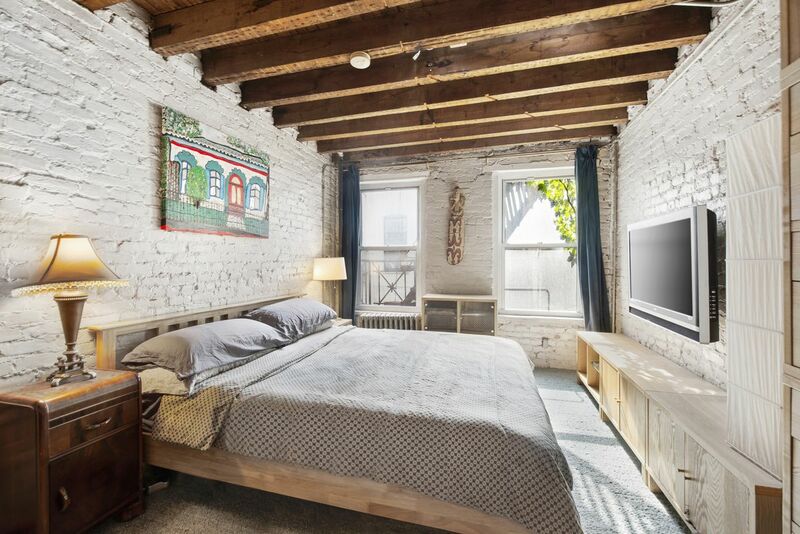 The east-facing duplex occupies the top two floors of the rear of the building and gets amazing natural light from windows on three sides. 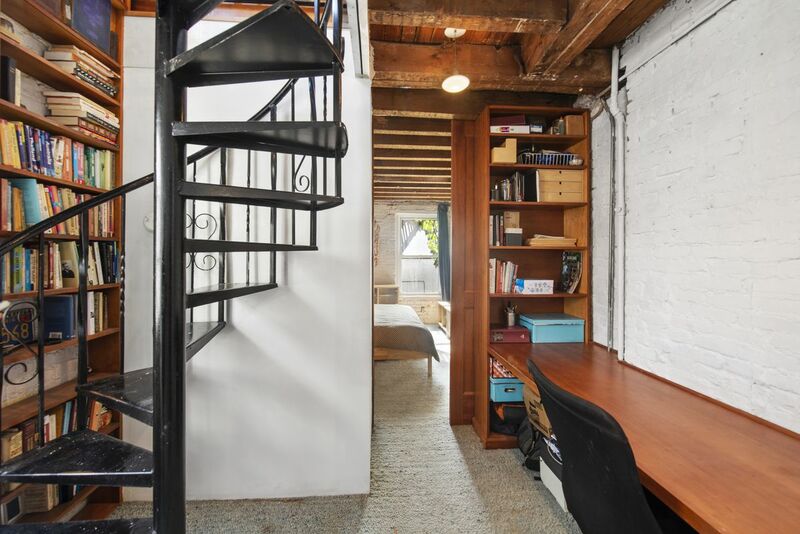 The upper level has a loft-like layout with an eat-in kitchen and a large, cozy living room. 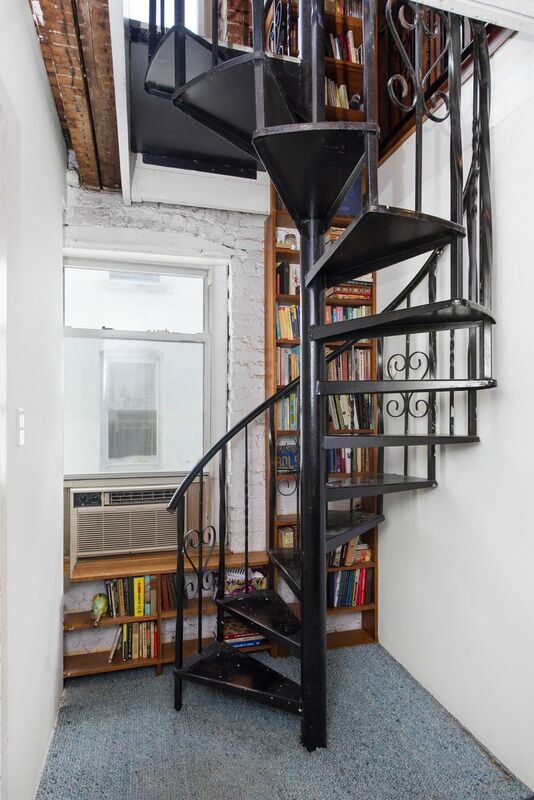 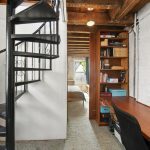 Down a spiral staircase is the master suite, which begins with a bonus room that’s currently outfitted as an office. 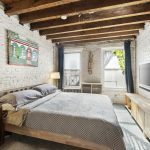 The white-washed brick bedroom fits a king-sized bed. 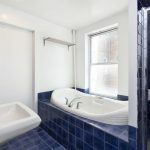 Also on this floor is a washer/dryer and the bathroom, outside of which is a second entrance/exit. 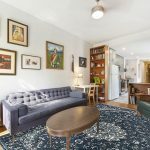 The maximum yearly incomes for this unit are $120,615 for one person; $137,775 for two people; and $154,945 for three people.